Are you concerned about how you are going to get yourself and your child ready for back-to-school time? Are you looking for more than just a few tips on how to get started? Dr Rosina’s comprehensive 7-day back-to-school guide, in partnership between Win Win Parenting and Benestar, will inspire you to get into action and take the worry away! By including your child in the preparations and limiting your activities to only two per day, you are still able to enjoy the last few days of the holidays and make sure you get the New Year off to a great start! Sound good? Well then... let’s go. Firstly, make sure you have a notebook ready so that you can keep everything together and make notes as you go. This way there will be no more lost lists, numbers or bits of paper everywhere! Now you’re ready to get on your way to being organised! If you already have school and sports uniforms as well as shoes from last year, then get your child to try them on to make sure they still fit. If you are lucky enough that they still fit, simply get everything ready with a wash, an iron and a polish and you’re done. If not, make a list of the purchases and alterations you need and then shop, shop, shop now! Make sure you leave enough lead time for uniforms to be made or altered for length. Ask your child to help you collect all the school supplies you already have in one place. Throw away the items that are old or no longer working and make a list of all the things you need to replace including school bag, note pads, pens, easers, etc. To save money, take advantage of the back-to-school sales, use the list you’ve prepared… and avoid buying the things you don’t need! Create a contact list including your phone number and address, emergency numbers, doctor’s numbers and a ‘back-up’ contact number for when you can’t be reached. Place these numbers on the fridge at home in clear view, provide them to your child’s school, in your child’s school bag and help your child to memorise your contact number and their home address. Purchase a large calendar where you can write appointments and events and place it in a location where it is easy to view and update. Enter in as many dates as you can at this stage and help your child to learn about using a calendar by referring to it every day and updating it together. This is a great life skill you can help your child develop! Then review your routines for the morning, after school and before bed and ensure you explain these to your child. For example, the morning routine could include collecting their lunch from the fridge and putting it in their school bag; after-school routine could be change of clothes, time for snack, then homework, play and wash hands before dinner. The Before-bed routine could include preparing uniforms, shoes, socks, packing bag with books, homework, sports clothes etc. You can enable your children do this themselves by having a checklist for them to tick off every night. Practise these routines before school starts until they are running smoothly ready for their first day back! Prepare a dedicated area for your child to study and complete their homework after school. Ideally this is a quiet space with no access to internet or television so that they are not watching TV, updating Facebook or looking at YouTube videos when they should be finishing their homework! By involving your child in the design, they feel part of the process and it makes it more inviting to them. Both you and your child need to be well rested to be productive and happy throughout the day. Now is the time to agree on bedtimes and waking times, put them down on paper and to stick to them. 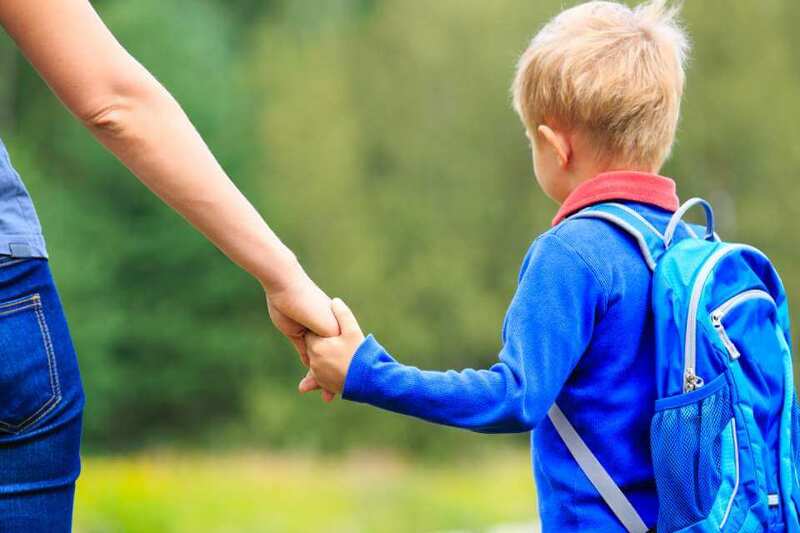 Talking about the upcoming school year and the changes your child might experience can help reduce some of their back-to-school anxiety. You can also motivate and inspire your child by discussing the exciting new classes, activities and events they can participate in during the year. Studies suggest that approximately 75% of your child’s time at school is spent in social interactions, so the quality of their friendships has a significant impact on their success at school. While you can’t pick your child’s friends, you can provide valuable knowledge that will help them select wisely. The idea of just one ‘best friend forever’ can lead to disappointment and unhappiness as conflict and change is often inevitable. Encouraging your child to seek out a wider circle of friends reduces the likelihood of isolation when disagreements arise. Encouraging your child to be friends with a broad range of peers, some who may not share all their own personal interests, holds many advantages. Do you still remember your own days at school and some of the difficulties you may have faced? Imagine if you had the opportunity to discuss these with your own parents beforehand and given the chance to develop and practise strategies to cope. Take the time to sit down with your child and talk about topics like bullying, accidents, drugs and alcohol, strangers and peer pressure. Your child is more likely to cope better if they have discussed a situation and practised strategies before these occurs. Plan how your child will get to and from school and then organise the car pool, bus tickets, walking route or locations for drop off and pick-ups. Explain the transport plan to your child in detail and then have a few practice-runs so you both feel safe and confident. As you get closer to the back-to-school date, organise for a tour of the school with your child and to meet their teachers. Meeting the teacher can reduce your child’s back-to-school nerves. Opening the lines of communication and building a friendly relationship with your child’s teacher will support your child in many ways! The fact is that children learn more from what their parents do than what they say. In life, we can set a great example by striving to be the kind of person you’d like your child to become. You can’t expect them to be organised, tidy and thoughtful if you don’t display those characteristics yourself at home. Prepare a little surprise like a personal note or a photograph and place it in your child’s bag for them to find at some time during their first day … it will show them that you care and think about them, reassure your child they are loved and inspire a big smile! After all that’s done it’s time for a well-earned break and a catch-up with your friends. Remember that a tired, stressed-out parent is no fun for anyone – and happy parents make a happy household. So, don’t forget to take care of yourself as well as the family! You’re now ready to start a new school year organised and confident! Remember, your efforts will not only make the transition back to school easier, it will also help your child develop the key life skills they need to lead a happy and successful life. Dr Rosina McAlpine’s Win Win Parenting Workplace Training program is available in partnership with Benestar.